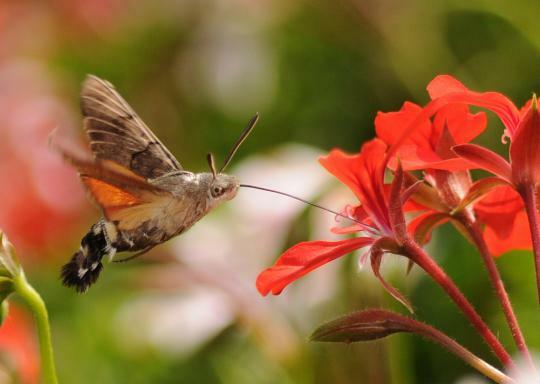 See amazing photos and learn all about hummingbird hawk moths, Macroglossum stellatarum at Scienceray. Check out this video about lightning-fast animal movements. The first segment is about a gecko but the second one is about mantis shrimp strike mechanics (I talked about this in detail here). Read about the mechanics of fruit fly auto-righting during flight at New Scientist. Research suggests that they use motion sensors in their second wing vestiges, called halteres, that are wired directly into the wing muscles; allowing the flies to react to perturbances faster than a visual signal can be processed. 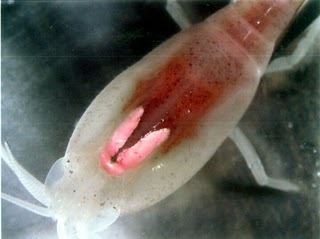 Kevin over at Deep Sea News has a great post about the bazaar retina of the vent shrimp, Rimicaris exoculata. This retina has migrated from the eyes to the animal’s dorsal carapace where it may be used to sense blackbody radiation given off by the (infra)red-hot vents. PZ at Pharyngula has a nice write-up about female crayfish, Pacifastacus leniusculus, antagonizing males to fight so that they can choose a more suitable mate. Bonus: Blindfolded male crayfish battling in a fluorescent urine cloud, set to Star Trek battle music. Learn about how barnacles attack to whales at Scienceline. The BBC is presenting an article and series of films from a recent University of Aberdeen research expedition. The films are shot between 5.5 kilometers and 10 kilometers in depth and feature snailfish, decapod shrimp, isopods, and amphipods as they scavenge on a bait bag. 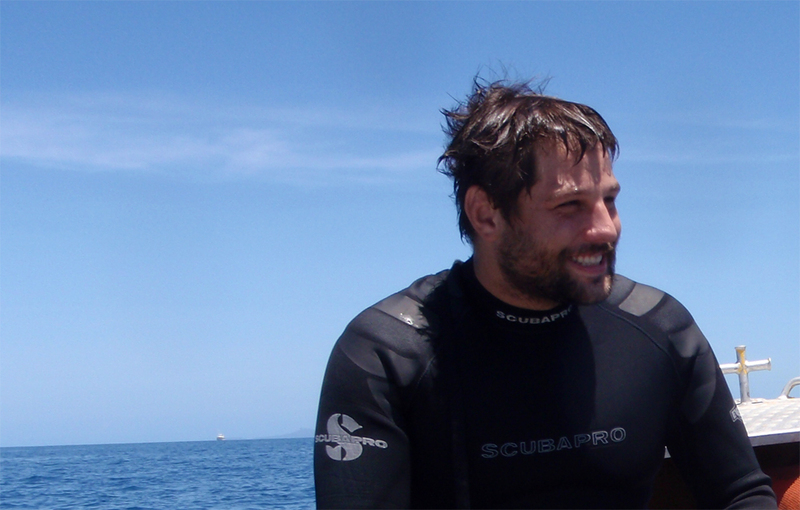 The videos are narrated by Dr. Alan Jamieson, and he shares some neat insights about deep sea life. I am personally surprised at the ridiculous swarms of amphipods in the 9 km and 10 km videos. I did not think deep sea life was that dense except around vents and seeps. They don’t say how long the bait bag was there before the film starts, and it could have been down there for hours attracting every amphipod in a 100 m radius. However, a quick check of the literature reveals that these near-bottom deep-sea amphipod swarms have been observed near vents as well as in open abyssal plains. Pelagic swarming is not typically a characteristic attributed to deep sea crustaceans and its ecological significance is unknown. 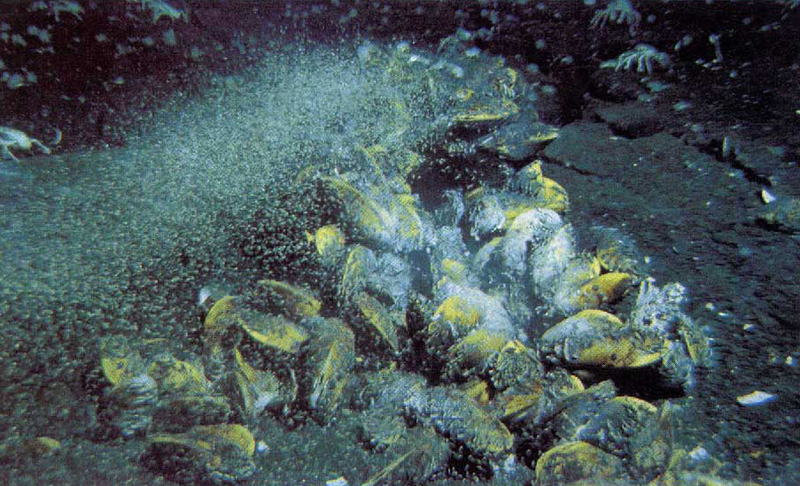 A swarm of undescribed paradaliscid amphipods, photographed from the submersible Alvin near a deep sea vent in the East Pacific Rise (Dover et al., 1992). Dover, C.L.V. et al., 1992. Deep-sea amphipod swarms. Nature, 358(6381), 25-26.